How time flies! When I found out in June, that I would be joining the amazing cast of Come From Away, it seemed forever before I would start. Now I’m leaving on Thursday for New York, to prepare for the 2 special concerts in Gander Newfoundland, and then the beginning of the Toronto/New York run! Exciting times ahead! Voice Lessons Toronto, Singing Lessons Toronto, Vocal Coach Toronto, Beaches Voice Studio, Audition Coaching Toronto, Music Lessons Beaches Toronto, Voice Lessons Toronto, Piano Lessons Toronto, www.learntosing.ca, www.susandunstan.com, www.vegastardobermans.com, Wedding Shows Toronto, Live Music Toronto, String Trio Toronto, Jazz Trio Toronto, Wedding Ceremony Vocals, Wedding Ceremonies Toronto, Wedding Music Toronto. The Wedding Co., Live Music Weddings Toronto,Bliss Weddings Events, Voice Lesson Cobourg, Voice Lesson Port Hope, Singing Lessons Cobourg, Singing Lesson Port Hope, Voice Lessons Northumberland, Voice lesson Hastings, Voice Lessons Colborne, Voice Lesson Warkworth. 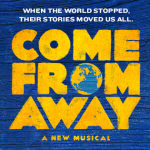 Doberman Breeder Ontario, Audition Preparation Toronto, Come From Away, Broadway.